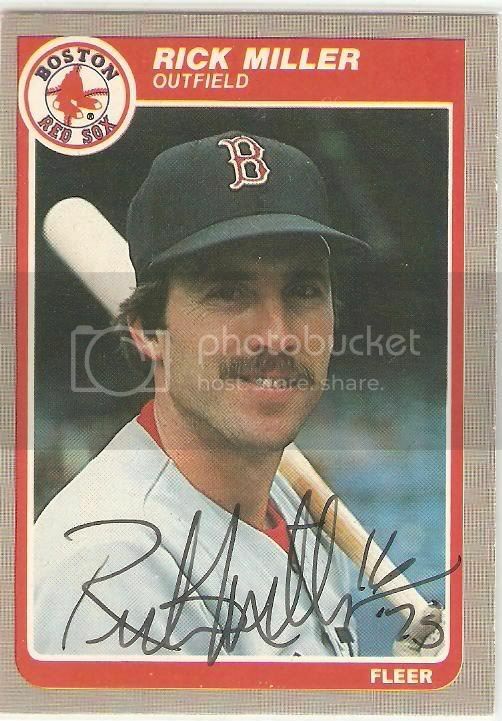 Rick Miller is an outfielder who played for the Pawtucket Red Sox in 1970. At that time, the PawSox were Boston's double-A team. He was 22 years old. Through 113 games, Miller batted .237 and hit 12 home runs. He walked 75 times and struck out 77. 1. Rick Miller is now the manager of the New England Collegiate Baseball League's New Bedford Bay Sox! Guess who's checking out a new ballpark this summer! 2. Donald Dilly, Katsuhiro Shitanishi, Leslie Slough, John Mountain. Heard of any of these guys? They played with Miller on the PawSox. No? Then how about Carlton Fisk and Juan Beniquez! Dustin Richardson was on the PawSox. How stoned is this guy?